A great gift for ages 3 years and up! 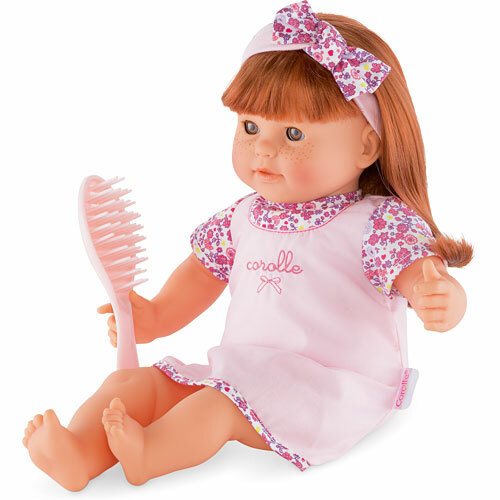 Corolle's Mon Classique Redhead Baby Doll has a huggable soft body and silky long, rooted hair that can be brushed and styled with the included hairbrush. This charming 14-inch baby doll also features brown sleeping eyes that open and close and supple vinyl skin that's delicately scented with vanilla-a Corolle signature. Ages 3 years and up.